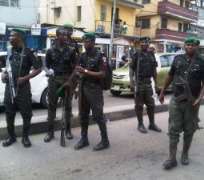 The Ebonyi State Police Command on Sunday said it had discovered the body of a yet-to-be identified woman in a hotel room in Abakaliki, the state capital. According to the command's spokesperson, DSP Loveth Odah, who confirmed the development to our correspondent on Sunday, the woman's corpse was discovered at the Crown Garden Hotel, located along Afikpo Road in the capital city. According to him, the murder may not be for ritual purposes as the victim's vital organs were still intact when the body corpse was evacuated from the hotel.